Specials: 94 USD Discount on October departures. Specials: 63 USD discount on April & May Departures! 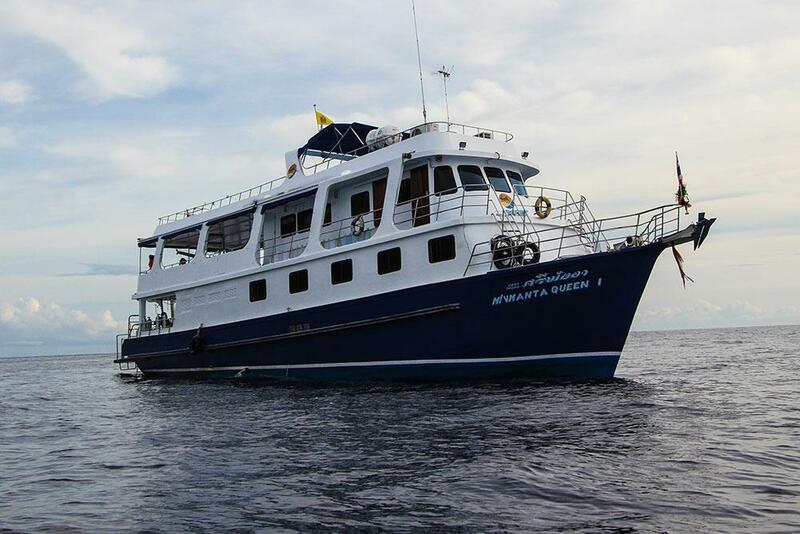 MV Manta Queen 1 is a very popular & highly-respected Similan diving liveaboard boat that takes up to 22 guests to the best diving sites in Thailand, including Koh Bon, Koh Tachai & Richelieu Rock. 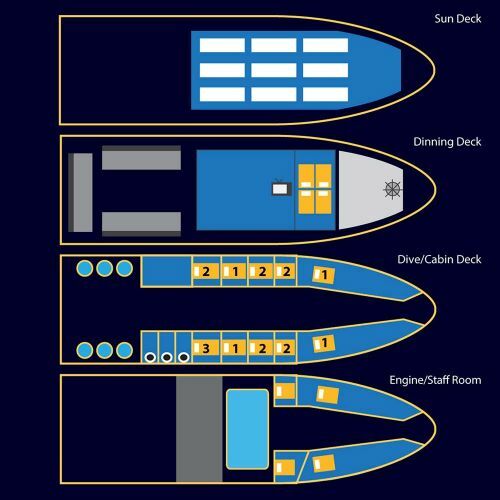 The boat’s 10 cabins are in a variety of twin, double, and 4-bunk configuration, and all have air-conditioning. 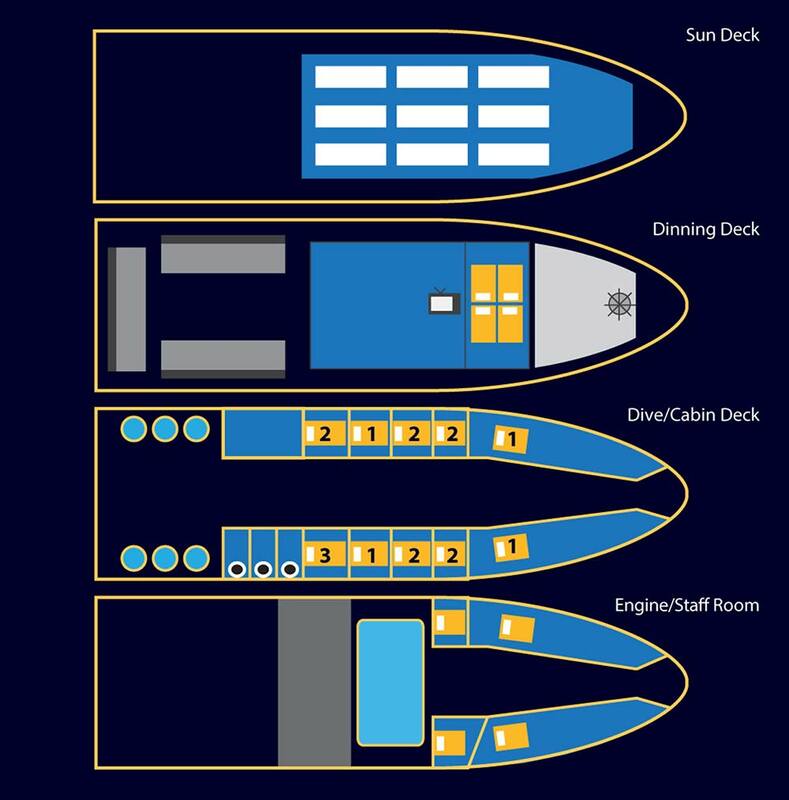 At nearly 30 metres in length, Manta Queen 1 has plenty of space for couples and groups to socialize over a meal or evening drink, and there are plenty of places (inside & out) for guests to find some privacy with a book or to just top up a tan. In addition to giving plenty of space to guests, the large size of Manta Queen 1 ensures that any rough seas during the first or last months of the diving season are dealt with easily. There are 8 crew and 6 diving staff to take care of the guests, many of whom are hoping to enjoy some of Thailand’s best diving without having to break the bank. Although diving from Manta Queen 1 is possibly the cheapest liveaboard diving in Thailand, guests don’t miss out on anything. In fact, with free pick up and drop off and 15 dives (compared to 14 on most 4-day trips) they get something extra. All meals, fruits, snacks, tea, coffee & drinking water is included, too. 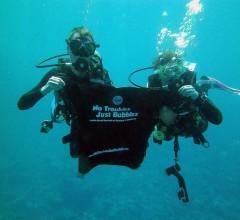 Manta Queen 1 happily accepts divers of all levels, and non-diving guests are welcome, too. The diving guests include everyone from those learning to dive, fun divers, enthusiasts and even professionals. There is Nitrox, as well as PADI courses at low prices. And new for 2018-19 MQ1 has Free Wi-Fi. This is dependent on when the boat is in range, which is normally for the first 36 hours of the cruise and the final 24 hours. Even though the prices are low, safety and quality remain a top priority. 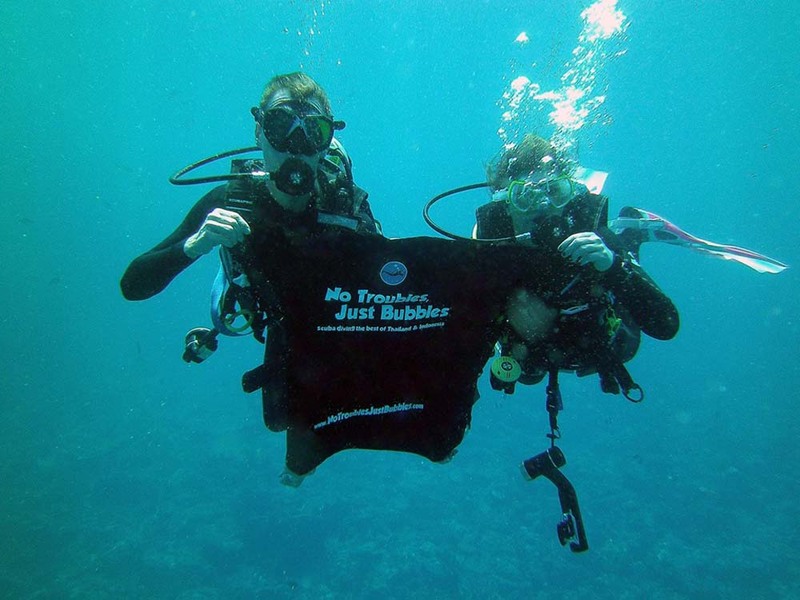 PADI professionals teach the courses and qualified & experienced Divemaster guides lead groups of no more than five divers, chosen to be at similar levels. Every year Manta Queen 1 undergoes a full overhaul and interior renovation, in order to maintain the best experience for all on board. 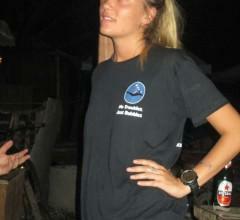 The 4 day & nights Manta Queen 1 diving safari itinerary departs from Khao Lak in the evening. Guests meet at the dive centre first for balance payment, equipment fiting and to sign a couple of forms. Then after everyone is taken to the boat, there is a general briefing and a light evening meal is served on board. The boat sails into the night and the diving starts in the morning of the following day. There are four dives per day for three days, then three dives on the final day, before the boat returns to the pier in the afternoon. After the 'check out' process at the dive centre, guests are taken to their chosen destination in Khao Lak or Phuket. Engines. 2x Hino 450hp 10 Cylinder. Generators. 1x 40Kw. 1x 50Kw. Nitrox Filling Station. Nitrox Tanks And PADI Courses Available. Navigation. GPS Sat.Nav, Depth Sounder, Compass. Accommodation. 10 Air Conditioned Cabins, 3 Bathrooms. Amenities. Large Salon, Sun Deck, Tea And Coffee. Crew. 1 Captain, 1 Engineer, 1 Cook, 4 Assistants. Diving. 30x 12-litre Aluminium Tanks, Int'l Valves. Safety. VHF Radio, Life Jackets, Life Rings, First Aid Kit. Dinghy. 2x 4 Metres With 40hp Engine. 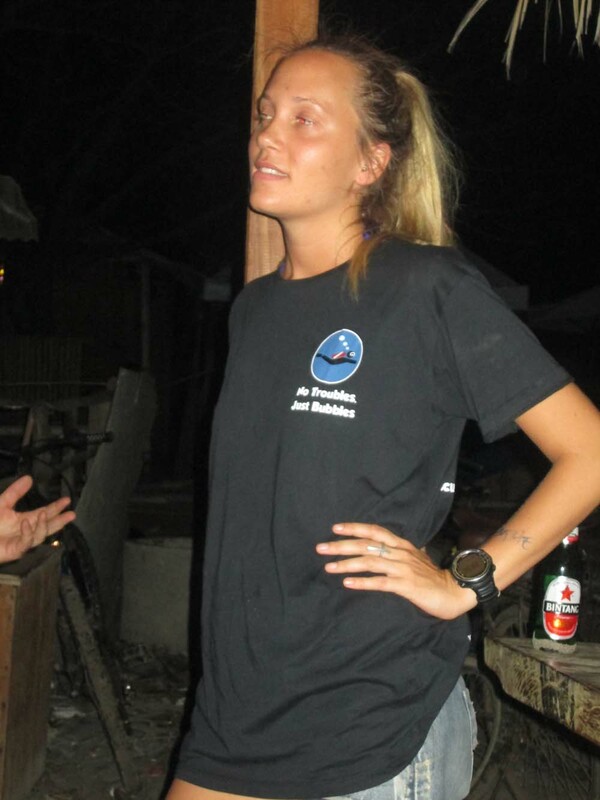 There is a selection of PADI diving courses available on Manta Queen 1, including Enriched Air Nitrox (EAN), beginner and advanced courses. We list the most popular PADI courses on this page, and we always recommend MQ1 guests to pre-book their PADI course with just a 500 THB deposit. However, it's usually ok to choose and confirm after your arrival. 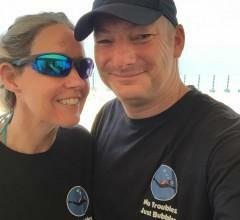 *Open Water Diver candidates need to be in Khao Lak at least one full day before Manta Queen 1's departure date. This is to be able to watch the videos, do the tests and learn to dive in the team's brand-new purpose-built diving pool. Also, if no other divers are taking the course on your chosen cruise, there is a 1,200 THB surcharge per day for one-on-one tutoring. E-learning candidates are welcome, too. 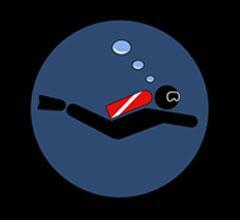 Please enquire for details and prices BEFORE signing up for e-learning on the PADI website. The Manta Queen fleet use minivans to collect guests from hotels & the airport. Each minivan is pre-arranged for its set route, times & guests. If you're staying in and around Khao Lak you can get free scheduled transfers on departure day (4.00-4.30pm). Manta Queen 1's Phuket guests can get transfers for 300 THB. The pickup times are 11.30am - 3.30pm, depending on the location of your hotel. Pickups from Phuket Airport are at 3.00-3.30pm. Everyone is taken to the dive centre to complete a bit of paperwork, make balance payments, and try on any rental equipment. At the end of the cruise, everyone is transferred back to the Manta Queen office, before being taken to your chosen hotel. Well organised great people and dive-sites, highly recommended!!! Had a great trip. I am not good with names but John was excellent. My dive leader Tik was the best ever he truly cares about everyone. I would choose to dive again and again. 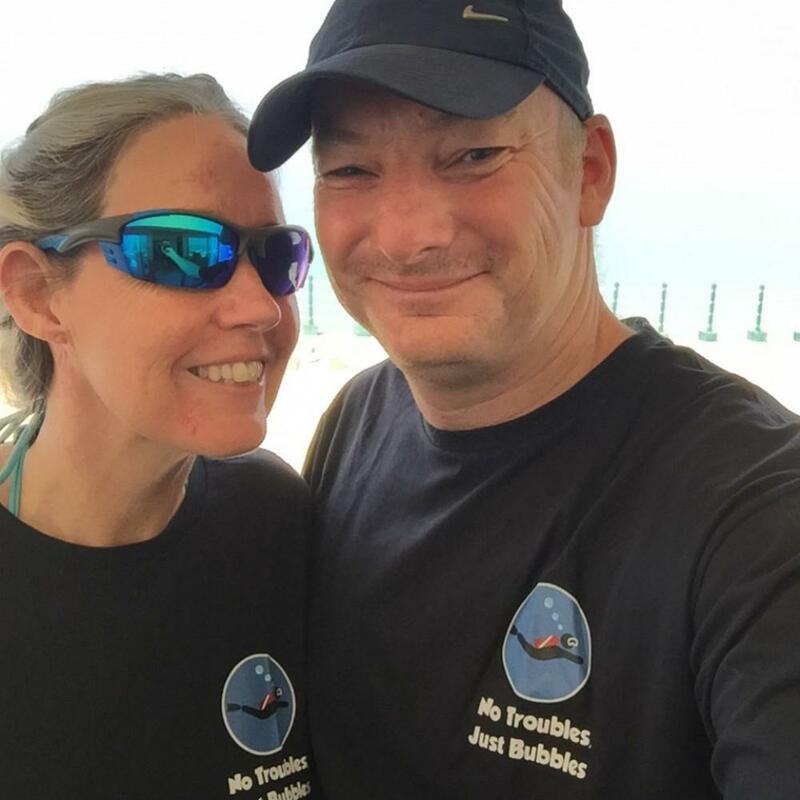 Very easy and very helpful service from No troubles Just Bobbles, with evrething from boooing the liveaboard to cheep hotel and taxi service. 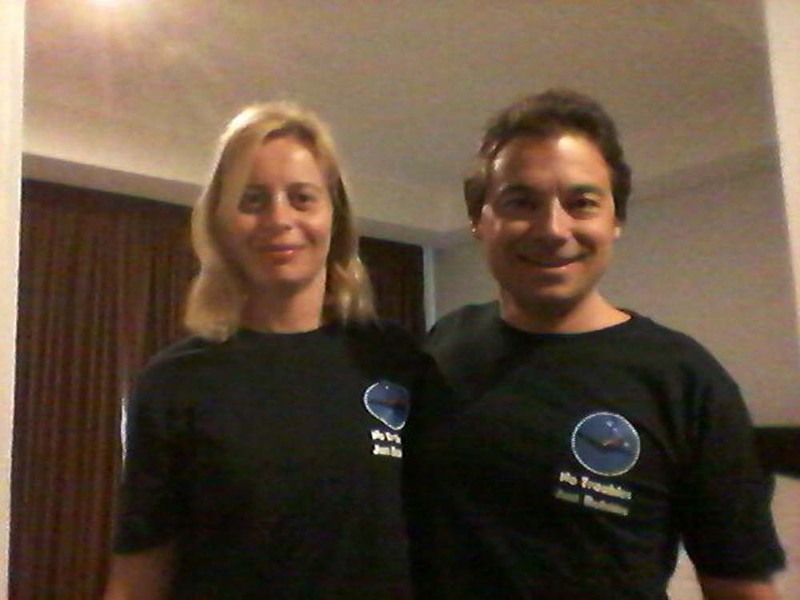 MQ1 has great staff especially dive guide TIK who didn´t say much but was super helpful under water. The boat cabins are bit small and smell of diesel when the boat is "parked" thats the only negativ thing about the trip. Amazing !! More than I expect !! "it was a brilliant trip. People super good stuff and beautiful dive sites????" Equipment rental (if required) is available at 400 THB / day. National Marine Park fees are paid in cash (local currency) to the local authorities. This is 1,800 THB / diver (1,000 THB / non-diver). 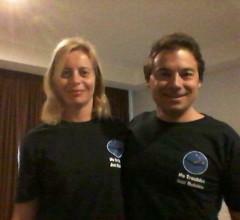 Non-diving guests on Manta Queen 1 recieve 1,000 THB discount on the trip rates. Please contact us for any optional extras that you can't see here.